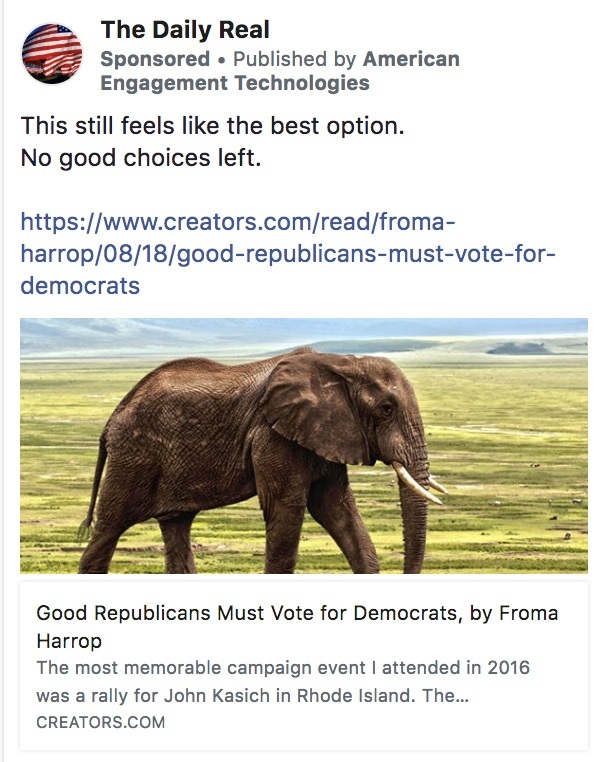 Democratic operatives, led by a former Obama official, bought ads on misleading Facebook pages to suppress GOP turnout in the midterm elections. 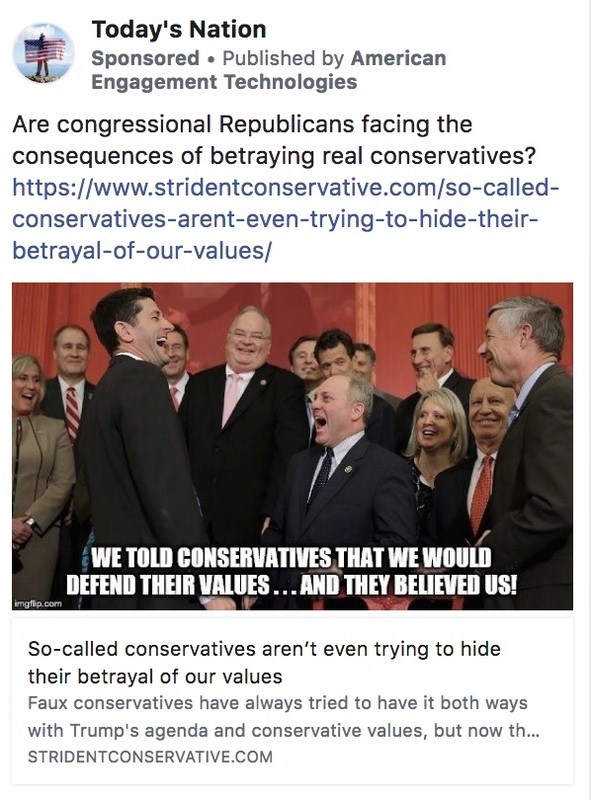 The pages appear to be designed to give the impression that they were operated by disgruntled conservatives rather than Democratic operatives. 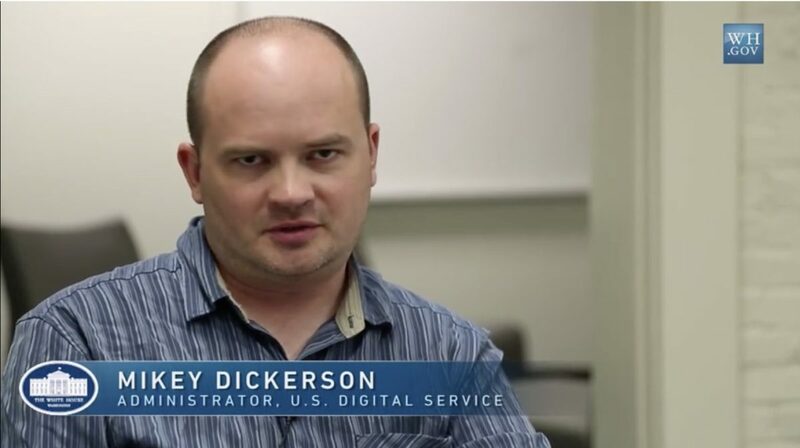 The operatives were funded by left-wing billionaire Reid Hoffman, who previously funded a “false flag” effort in the 2017 Alabama special election. 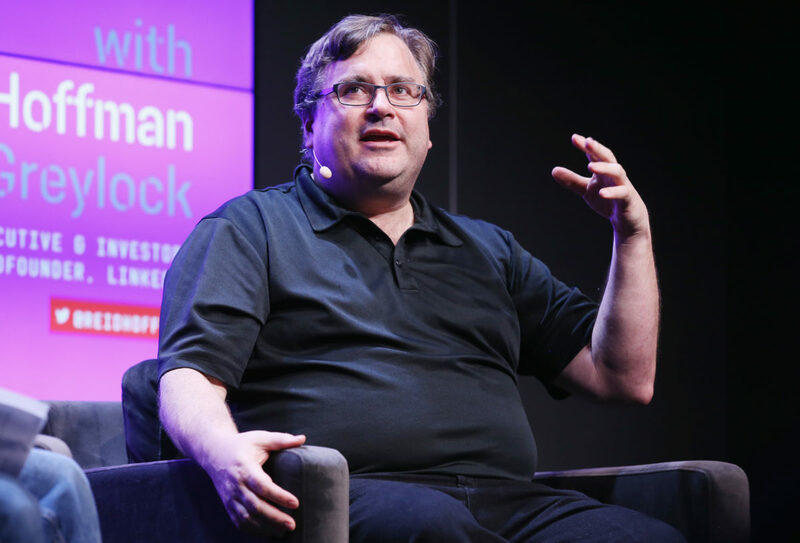 Democratic operatives funded by left-wing tech billionaire Reid Hoffman ran a widespread campaign using misleading Facebook pages in the run-up to the 2018 midterm elections, The Daily Caller News Foundation has found. 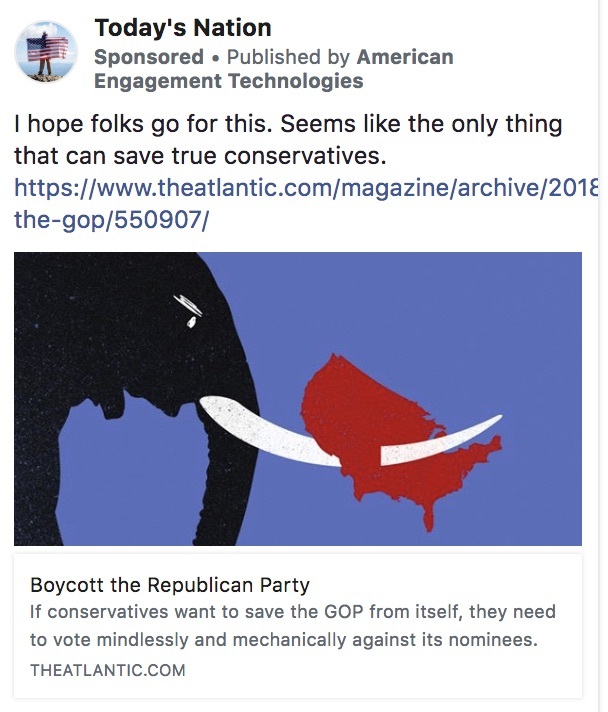 American Engagement Technologies (AET), which was founded by former Obama administration official Mikey Dickerson, bought ads for two Facebook pages, “The Daily Real” and “Today’s Nation,” encouraging Republican voters to stay home in the midterm elections, Facebook’s ad archives show. Both pages appear to be designed to give the impression that they were operated by frustrated conservatives rather than by Democratic operatives. 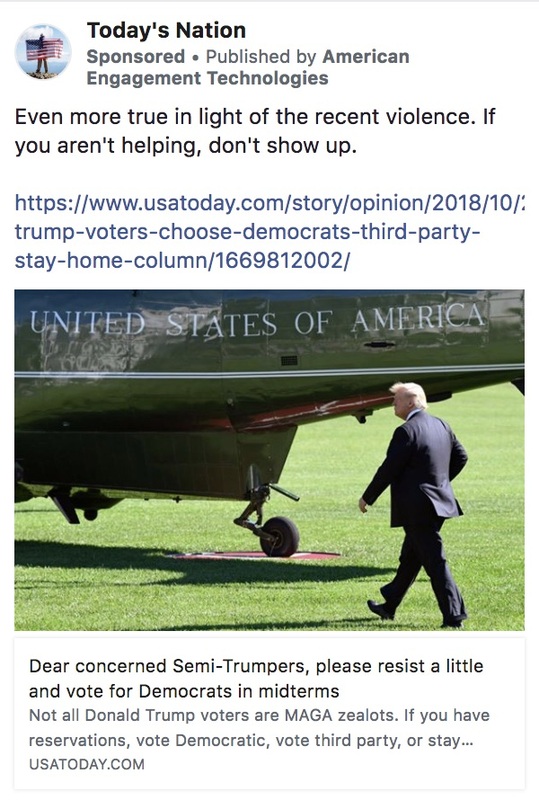 The American flag-adorned pages encouraged conservative voters to either stay home in November or vote for Democrats to punish Republicans for being insufficiently conservative. 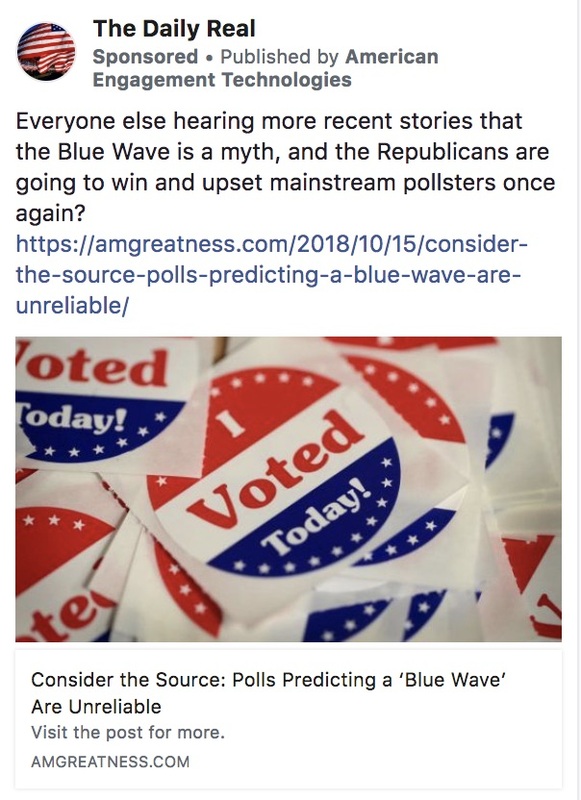 Other ads called polls predicting a “blue wave” in the 2018 elections “unreliable” and downplayed the election’s importance. 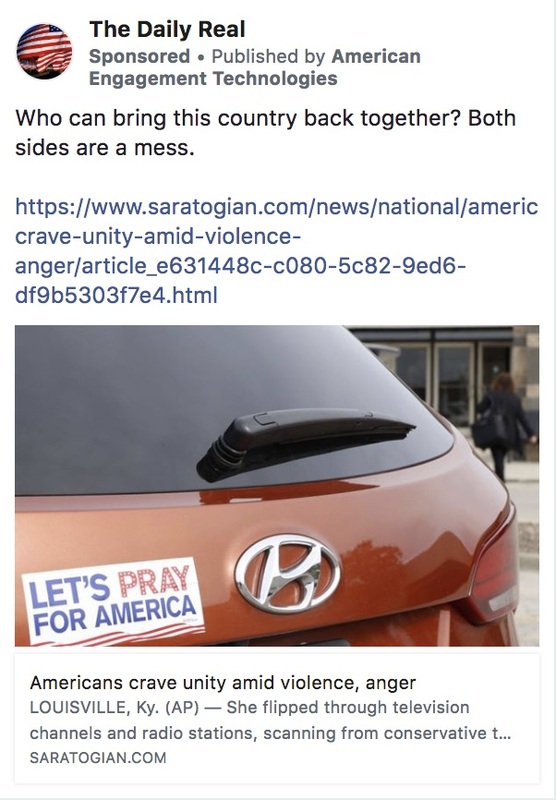 The misleading ads collectively garnered millions of impressions on Facebook, TheDCNF’s review of Facebook’s archives found. AET’s operations in the 2018 midterm elections show that the Hoffman-funded group went further than previously known in attempting to mislead American voters for the purpose of swinging an election. 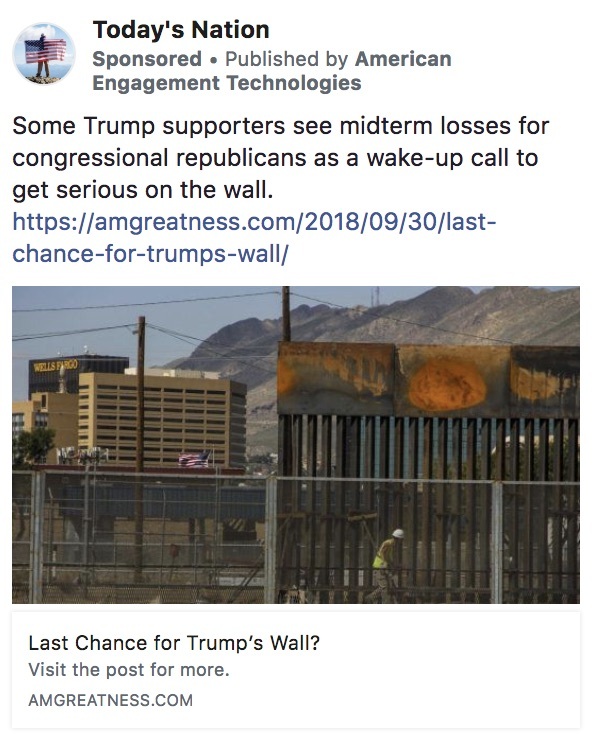 “Some Trump supporters see midterm losses for congressional republicans [sic] as a wake-up call to get serious on the wall,” the Democratic operatives wrote in another post. 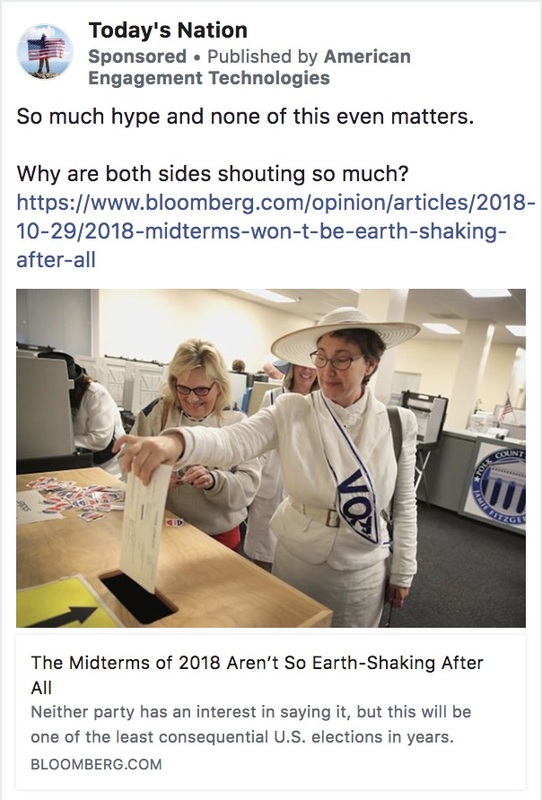 One series of ads told voters that there were “No good choices” in the midterm elections. Voting for Democrats to send a message “feels like the best option,” the Democratic operatives wrote. Neither Dickerson nor Hoffman returned requests for comment. 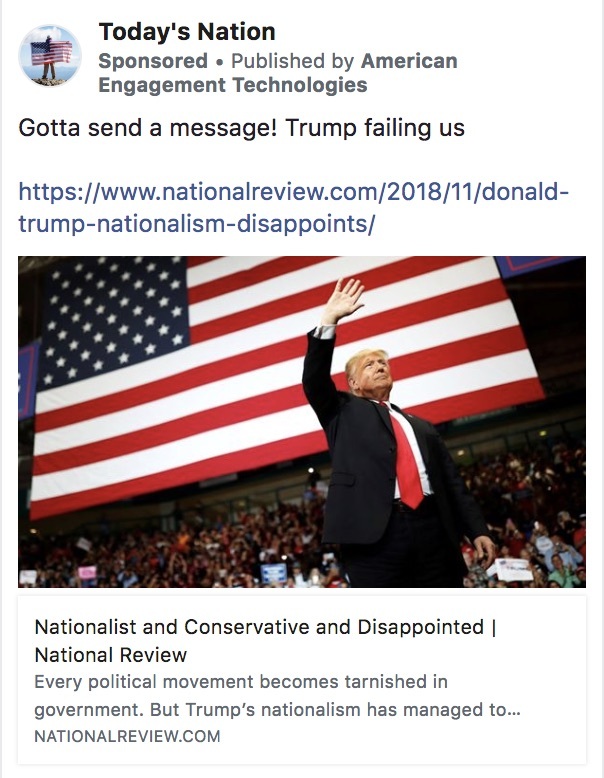 Another Hoffman-funded group, News for Democracy, similarly used a patriotic-themed page called “Our Flag Our Country” to push anti-Trump messaging in the midterms, as The Washington Post reported on Monday. Facebook is investigating whether News for Democracy violated its rules against misleading political advertising, according to the Post.